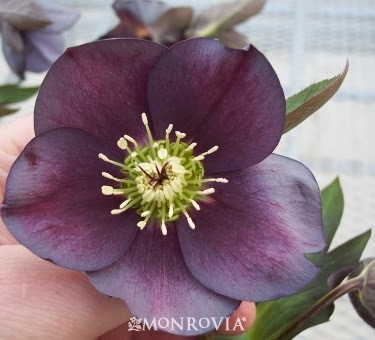 Monrovia Nurseries has come out with the Windcliffslaty blue Lenten rose (Helleborus x windcliff Slaty blue). It prefers shade like the other Hellebors, but brings a new color for the foiliage with the slaty blue. Another shrub will be the Enchantress Hydrangea (Hydrangea macrophylla Monrovia). This hydrangea likes the shade and is a dark pink to red in color. Lionel fontescuemahonia (Mahonia x medic Lionel Fentescue) is an upright mahonia with yellow flowers in January to March. Golden Duchess eastern hemlock (Tsuga Canadensis ‘monkin’) is a dwarf conifer that only grows three to four feet tall, and has yellow evergreen foliage. Jackson Perkins has come out with three new roses for 2014. Summer Surprise (Rosa Summer Surprise) is a hybrid tea rose with dark yellow, and orange flowers. Crush on You Rosa is a deep red floribunda rose. Floribunda roses have many smaller blooms as opposed to the few large blooms of Hybrid teas. Beautiful Dreamer or Rosa Beautiful Dreamer is another new hybrid tea with medium pink flowers. For the vegetable gardener, Burpee has come out with the SteakHouse Hybrid Tomato, which promises to be much bigger than the beefsteak variety, averaging three pounds per tomato. Amaize Hybrid Sweet corn is a white sweet corn that is bred for sweetness, and aroma, and promises to remind the grower of what sweet corn used to taste like. An interesting new sunflower from Burpee is Ms. Mars. It is a shorter growing, multi-flower variety that Is red in color at the center, and fades to pink at the edges. Zahara Sunburst zinnia is an orange yellow zinnia that will add rust tones to the garden. Gardeners will grow more plants that they can eat as well as look at. Rain-collecting gardens will continue to be popular, as gardeners use pavers that allow rain to soak into the ground rather than flow off-site into the storm sewer. Trees, and shrubs will be purchased for their pest-free tendencies rather than for showy plants that require a lot of chemical spraying. Winter jasmine (Jasminum nudiflorum) is blooming with yellow flowers right now. It grows three feet tall, spreads six feet, and needs full sun. It’s best used on top of rock walls or steep slopes. Flowering apricot (Prunus mume) is a tree that takes everyone by surprise by blooming at this time of year. It grows 25 feet tall, and 25 feet wide, and blooms with thousands of small, rose-colored flowers. Winter daphne (Daphne odora) likes shade, and grows 6 feet tall, and 6 feet wide. We have a variety with green and white leaves that—when combined with the pink flowers at this time of year—make this shrub a great addition to any garden. Lenten rose (Helleborus hyrbridus) hide all year-round and provide green, pink, dark red, or cream colored flowers just when everything else has taken a vacation for Winter. Lenten roses grow best in shade, and grow only 16 inches tall, and spread 18 inches wide. Plan ahead for Spring: make a list of new vegetables, flowers, trees, and shrubs you want to plant. Now is a good time to install hardscaping, such as brick, or stone patios, decks, and trellis. “Force” flowering tree cuttings to bring indoors. Early flowering trees, and shrubs work the best such as flowering cherry, apricot, forsythia, and quince. Just take a 2-3 foot cutting from any of the above, and place in water inside. The cuttings will soon sprout, giving you an early taste of Spring! Springmoor Life Care Retirement Community is a wonderful senior living community in Raleigh, N.C. To find out more about Springmoor, check out our website, and find us on Facebook.